Armenian water terror remains a steady threat to the residents of bordering Azerbaijani villages, who continue suffering from water shortage since the very beginning of Karabakh conflict. The issue causes alarm for many international organizations, which urge Armenia to observe the universal convention on use transboundary water resources. PACE report on "The population of the border regions of Azerbaijan deliberately deprived of water" clearly describes the problems created to the Azerbaijani side by the Armenian occupants in connection with the Sarsang reservoir resources. The use of water, according to international conventions, is an integral part of human rights, and the use of transboundary water bodies for the purposes of blackmail and pressure is unacceptable. Sarsang water reservoir, which was built in 1976, used to irrigate the sown areas of the Yevlakh, Goranboy, Tartar, Barda, Agdam, Agjabedi and Agdere regions. However, Armenia continues to ignore international legislation with impunity and now intends to build a new channel in occupied Azerbaijani region of Karabakh, which will connect the Sarsang reservoir with Agdere. Armenian media reports that the government plans to attract foreign investment in the amount of $100 million to realize this illegal plan in occupied territory. They also intend to build three more new reservoirs, as well as a cascade of hydropower plants in order to further export electricity, despite understanding illegality of any business activities in the area. 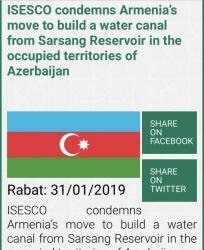 The Islamic Educational, Scientific and Cultural Organization (ISESCO) issued a statement condemning Armenia’s actions to build a water channel from the Sarsang reservoir in the occupied territory of Azerbaijan. ISESCO regards the Armenian attempt to build a new channel in the occupied territory of Azerbaija as a gross violation of international law. ISESCO Director General Abdulaziz Othman Altwaijri stated that the expansionist plan of Armenia is aimed at changing the situation in the occupied territory of Azerbaijan and plundering the Azerbaijani natural resources. He assessed this step as a violation of the private and public property rights and international law, namely the Fourth Geneva Convention, which states that "the occupying state ensures the protection of civilians in the occupied territories". 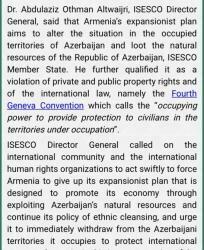 ISESCO Director General urged the international community and international human rights organizations to force Armenia to abandon its expansionist plan aimed at developing the country's economy through the use of Azerbaijan’s natural resources and ethnic cleansing policy, and urge it to immediately release the occupied territories of Azerbaijan in order to establish peace and security in an important region of the world. 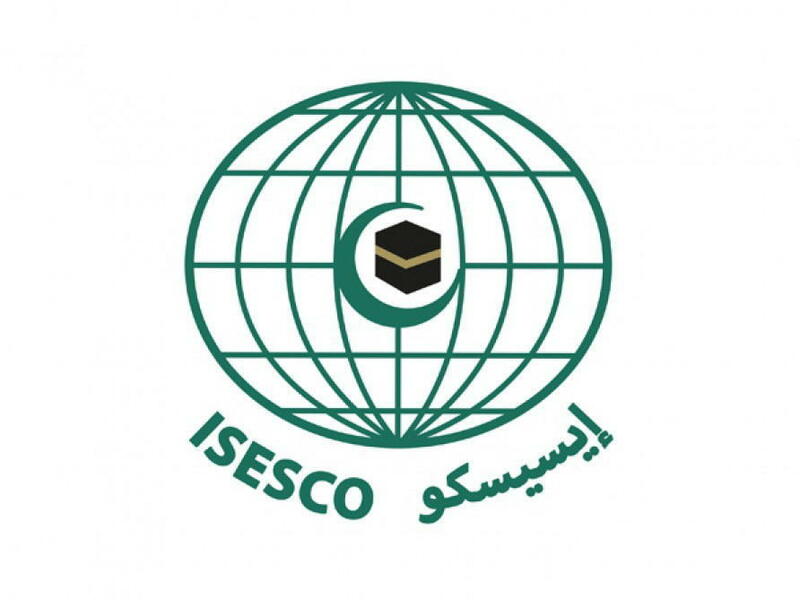 ISESCO is large organization, uniting 54 member-states, along with three observer states, out of the 57 member states of the Organization of Islamic Cooperation (OIC).